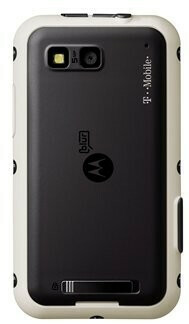 Sprint's Motorola i1 is about to get some competition here stateside as Motorola officially announced the introduction of the rugged style Motorola DEFY with T-Mobile. For those who only specifically remember this handset due to its ability to be submersed under water up to 3 feet, there are obviously some other neat features that make this handset resistant to the elements and to some of the daily wear and tear we can bestow upon it. Luckily for T-Mobile, this Android powered handset is going to be exclusive to them and should become available for purchase in time for the busy holiday season. Additionally, pricing has yet to be publicly made known at this point. 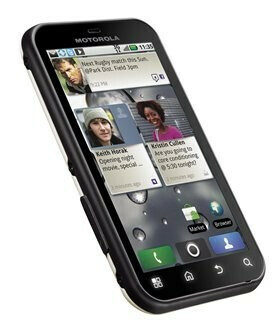 The Motorola DEFY features a 3.7” WVGA Gorilla Glass display, 5-megapixel auto-focus camera with flash, dual microphones, DLNA support, MOTOBLUR, Adobe Flash Lite support, and Motorola's CrystalTalk Plus technology. Now one of the major unknown things about it is which specific version of Android we'll see it sporting. Previously, it was reported that the European version will see Android 2.1, but it's unclear as of right now which one will make it to T-Mobile's version. 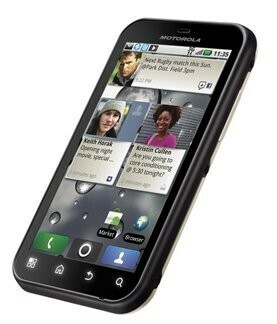 Nevertheless, Android 2.1 will easily beat out the Android 1.5 packing Motorola i1 over on Sprint's lineup. The screen looks wider than the droids. I have the boost i1 and although a bit slow it aint bad (opera minibrowser rocks) and the push to talk capability is what sold me. i am paying $55.00 a month for unlimited everything and i can walkie talkie my family members on nextel in mexico. 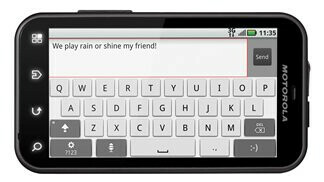 Tmobile if you would throw in push to talk, and more durable type phones ill come back. 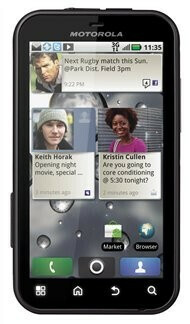 There are push to talk apps on the android market. The only catch is that the other person needs to be running an Android phone with said app running in the background.